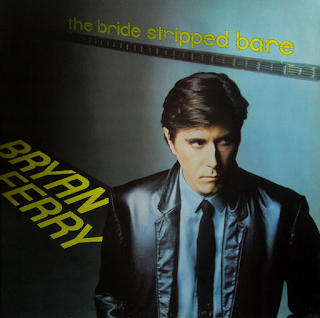 This is one of Bryan Ferry's solo albums that has sort of slipped under the radar (comparatively). Being really into all things punk and new wave in September 1978, when it was released, it was the first of his solo albums that I didn't buy. In fact at the time I paid it little attention. I subsequently bought it several years later, but don't return to it that often, which is a bit of a shame as it isn't a bad album. It is a mix of Ferry original compositions and covers. It contains probably Ferry's bluesiest material too. It was a funny thing that in 1977 I was quite happy to listen to Ferry's "In Your Mind", yet by 1978 he had no relevance. That's the young for you. Thankfully a few years later I restored the balance. Briefly, in that glorious autumn of 1978, all that mattered was The Jam, The Clash and Elvis Costello. As an album that was a bit unsuited to its times the first track is somewhat aptly titled. 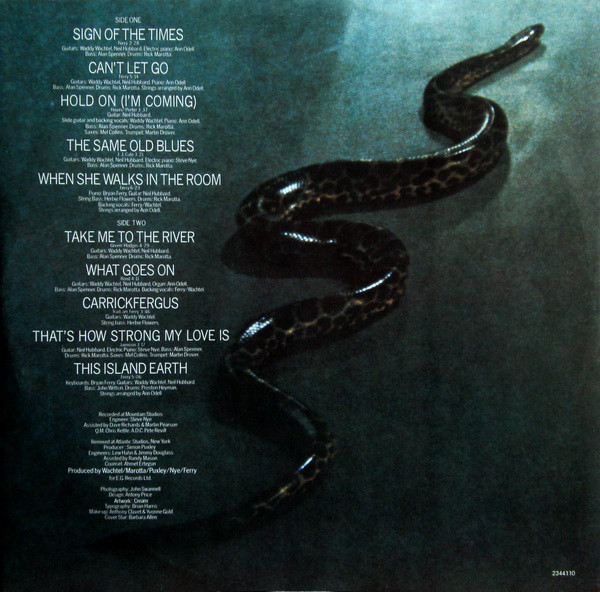 "Sign Of The Times" is a thumping Ferry rocker that wouldn't seemed out of place as a Roxy Music single, to be honest. For some reason, it ends abruptly, just when you are getting into it. Maybe Ferry was trying to re-create that "Virginia Plain" thing. It didn't work here, however. "Can't Let Go" is a Ferry original that has a feel of the sort of material he would use on Roxy Music's 1982 "Avalon album, and indeed on 1979's "Manifesto". It is a solid, pumping mid-pace rock-ish number with impressive string, drum and lead guitar backing. Ferry's vocal is excellent too. Sam and Dave's "Hold On (I'm Coming)" is covered effectively and Ferry does this very well live, many years later, as a show closer. The best track on the album, for me, is J.J. Cale's "The Same Old Blues". It is check full of brooding atmosphere, a solid backing and Ferry's quirky voice ideally suited to it. Great guitar on it too. "When She Walks In The Room" is not, as you may imagine, a cover of the Jackie DeShannon number, but an evocative Ferry composition. It is a bitter-sweet romantic, mournful song, possibly written by a heartbroken Ferry at the loss of Jerry Hall to Mick Jagger. It is full of sonorous, sweeping string orchestration and a lovelorn vocal. The bit where the beat goes quiet with two minutes left is sublime. Ferry's cover of Al Green's "Take Me To The River" was overshadowed by the contemporaneously fashionable Talking Heads' cover of the same song. While theirs was undoubtedly excellent, in any other era, Ferry's would have garnered praise, as, for me, it is a good one, with impressive vocals, guitar and atmosphere. Actually, nothing really compares to Green's original. The Velvet Underground's "What Goes On" is dealt with suitable riffage. It rocks, as indeed it should. A contrast is up next in Ferry's Van Morrison-esque interpretation of the Irish folk song "Carrickfergus". It utilises some "Astral Weeks"-sounding string bass sounds. The cover of Otis Redding's "That How Strong My Love Is" is musically good, but Ferry's voice, although moving, s no Otis Redding. He does his best though, and Mel Collins provides a superb saxophone solo. You do feel, though, that Ferry really means it as he sings it. "This Island Earth" is a Ferry tune to end with and it is probably the first of the laid-back, rhythmic style that would so dominate his eighties output on albums like "Boys And Girls" and "Bête Noire". Listening to this album now, it strikes me it would have been considered a really good one, had it been released in 1976 or 1985, as opposed to 1978.